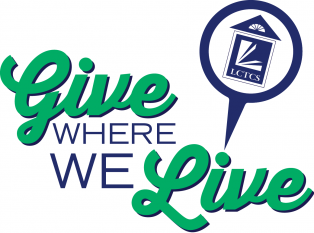 The Foundation collects scholarship dollars and distributes them to our colleges so that they may award these funds directly to needy and deserving students. Through statewide fundraising efforts, including the support of LCTCS employees and board members, the LCTCS Foundation is proud to offer several statewide scholarships for our students. I am taking the steps I need so that can be successful and make a better life for me and my child. No one in my family has attended college much less graduated college and I am determined to be the first one to do so. Louisiana’s community and technical colleges are currently responding to industry demands. The LCTCSF works directly with the DOW Chemical Foundation and all 13 colleges of LCTCS to identify and provide scholarships to committed PTEC students who demonstrate the ability to succeed in the program. Employees are the heart of the colleges and play a key role in carrying out the mission to lead and inspire private support for Louisiana’s community and technical colleges. These scholarships are funded through internal giving. 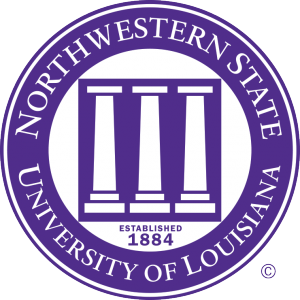 This transfer scholarship is worth up to $3,000 annually for active Phi Theta Kappa (PTK) Honor Society student members who wish to transfer to LSU upon completion of an associate’s degree at an LCTCS college. This scholarship is worth $1,500 annually for active Phi Theta Kappa (PTK) Honor Society student members who wish to transfer to NSU upon completion of an associate’s degree at an LCTCS college. FOR MORE INFORMATION ON HOW TO APPLY FOR THESE SCHOLARSHIPS, CONTACT YOUR PTK ADVISOR. Let us help you unlock your potential! The 5 for 6 Scholarship is awarded to individuals without a high school diploma or equivalency who wish to enroll at a Louisiana community or technical college. Use our eligibility quiz to see if you qualify. Am I eligible for the Five for Six Scholarship? l am currently enrolled in WorkReady U or other Adult Basic Education Program. l have NOT earned an Ability to Benefit (ATB) qualifying score on ACCUPLACER. Congratulations! 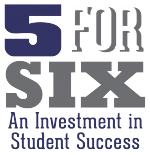 You are ELIGIBLE to apply for the Five for Six Scholarship! Learn more at the following link. You are NOT eligible to apply for the Five for Six Scholarship at this time. Learn more at the following link.